Close your eyes to see. 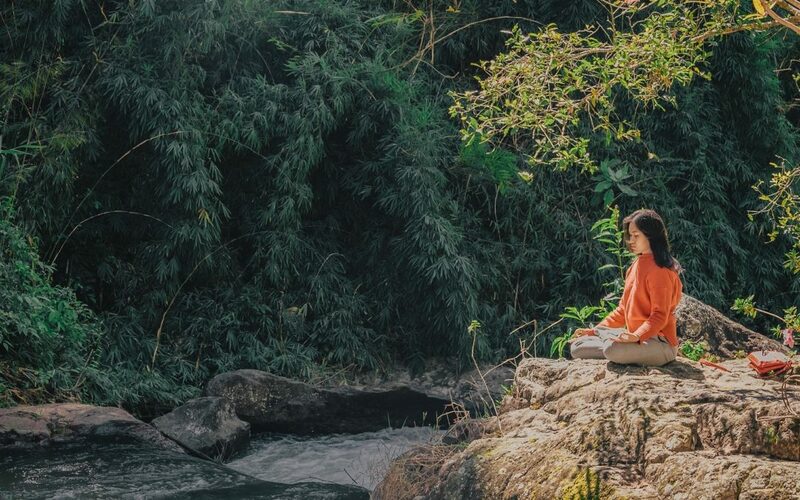 When my heart beckons me to write I find a quiet place to meditate and I ask my heart, “What do you want me to say?” This simple act of sitting in silence with my eyes closed allows me to hear the stories living inside my body. I tune into the darkness, stripped bare of the visual extravaganza I heavily rely upon to live in this world. I aim to create a vision for my writing during such meditation, but what I am actually asking to see is a feeling. My heart responds in a way I can only hear when I shun the light and give myself permission to listen. It’s not what I want the reader to read, but what I want the reader to feel that I am trying to visualise. From this place, I can hear the whispers of my heart. From this place, I can see in a way I never knew possible, until I met my daughter. My daughter engages the world with unique prowess through sightless eyes. She carries a heart full of carefully crafted skills that encourage a sensory immersion in the world beyond what my eyes can see. I watch her navigate around our home with an air of confidence. Her delicate hands sweep the walls whispering directions only she can understand. Her fingers speak a secret language she trusts will lead her to a destination. I wish I could feel like that. She reaches for my hand with profound precision. Her body speaks a secret language she trusts will guide her when in need of support. I wish I could see like that. 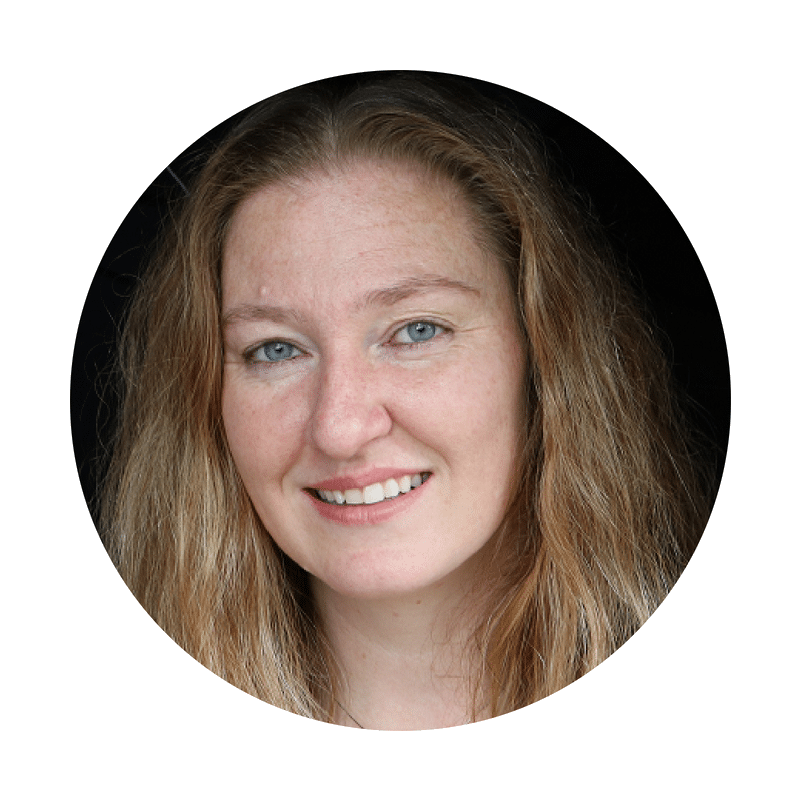 She is a brilliant storyteller and creates thoughtful dialogue, interwoven with delightful intonation when reciting narratives she’s heard throughout the day. Her ears speak a secret language she trusts will provide the information required when her eyes cannot read. I wish I could hear like that. Tanya started her writing journey as a travel blogger when she caravanned around Australia with her daughter, who is blind. 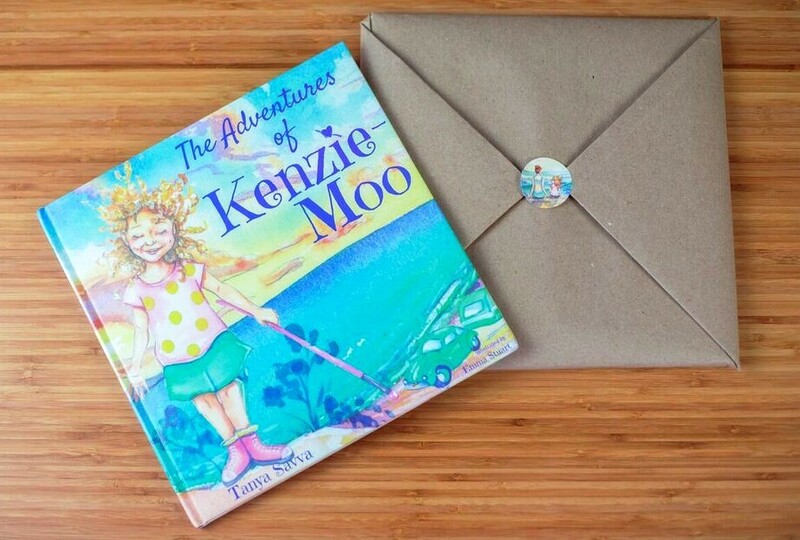 She wrote her first children’s book about their journey – The Adventures of Kenzie-Moo. She is writing a memoir about being a single mother to a child with special needs and the choices she’s made to live an abundant and fulfilling life, despite adversity. 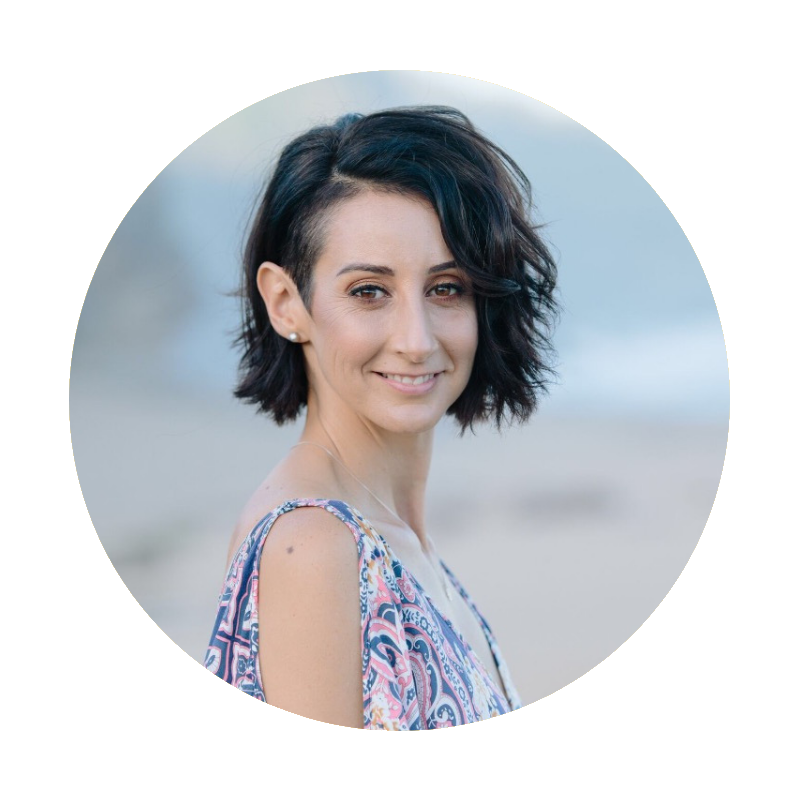 Tanya is an Empowerment Coach and Yoga Instructor, running retreats for mothers who have children with additional needs. 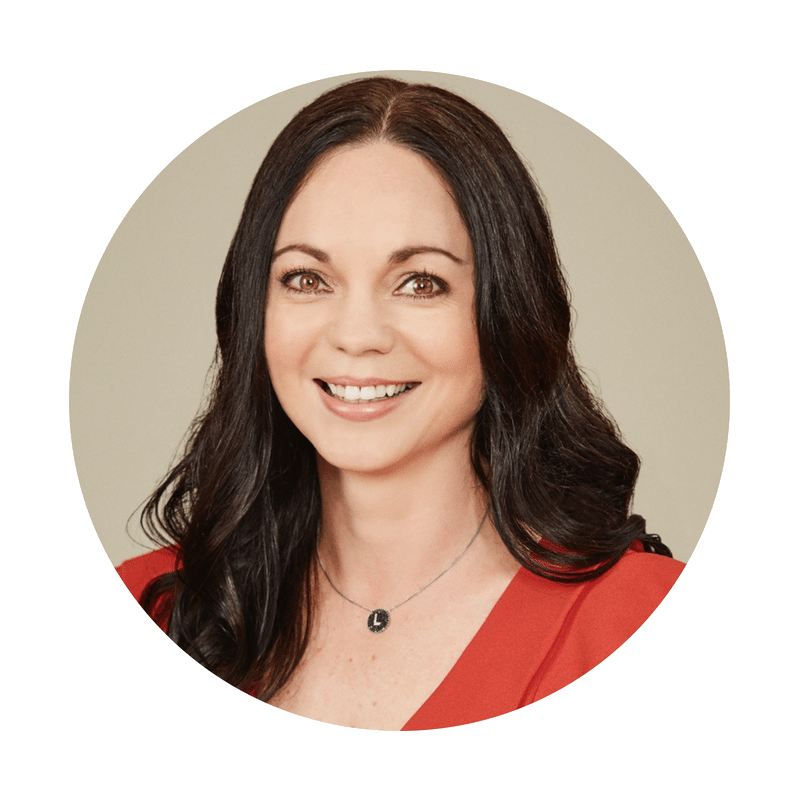 She is passionate about empowering mothers to create inner freedom by reconnecting to the essence of their true Self. I gaze into her sightless eyes and I am reminded that in fact, I can. When I want my reader to feel something, I close my eyes and allow the emotion to dive into my heart and disperse through every cell. My body vibrates to the sensation of the words that will find the page. When I want to hear my writing voice, I close my eyes and listen to it whisper words only audible in the darkness. When I’m suffocating in doubt, questioning ‘who would want to read my story’, I close my eyes and smother my fears in a blanket of darkness that eventually allows the light to filter through. 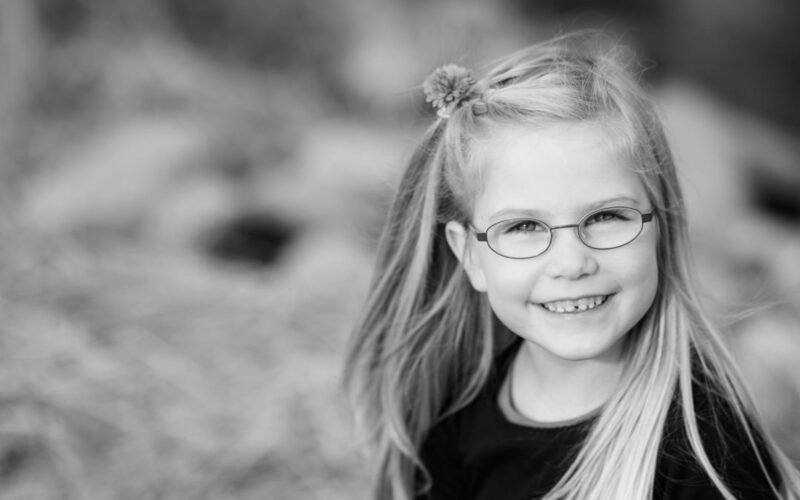 My daughter’s blindness infused my path with a light so bright I was almost blinded by the shimmering hues of gold that radiate from her energy field. It’s alive with secret languages that help her find her way. She helped me foster a relationship with my inner self so I could trust the secret languages buried in my own heart. “What do you want me to say?” I ask. I listen for the messages dormant in my body, waiting patiently in the silence of darkness. I hear the old bray of my heart and feel the story before it has any words. My daughter taught me to see in a way I never knew possible. She taught me to create a vision for my writing through closed eyes. The Adventures of Kenzie-Moo is now available. How long is my vision? Does it have a depth that can rival oceans? Has it curiosity akin to a child’s? Will its manifestation mean something even if I never get to see those results? These are questions I ask as I embark on a new writing project. Queries exploring the spirit and purpose of the art. They are the unwritten portion of each literary venture, inked in inquisition and resolution upon the parchment of my consciousness. As a writer, I must see the long view of each letter I type. I need to comprehend the immortality of character, the timelessness of setting. I acknowledge that whatever I put to paper might inspire relief from suffering, or instigate it. I may just as easily alienate readers as unite them, depending upon how I incorporate theme or voice into a work. I have to understand the permanency of every paragraph or stanza, and the way each story potentially endures long after I have set down my pen. Our words are a legacy. Several years ago, a home in my neighbourhood sold, and the new owners dug up the entire front yard, justifiably intent on changing the area to suit their tastes. As the landscaping progressed, however, I was flabbergasted as their preferences become apparent to the neighbourhood. 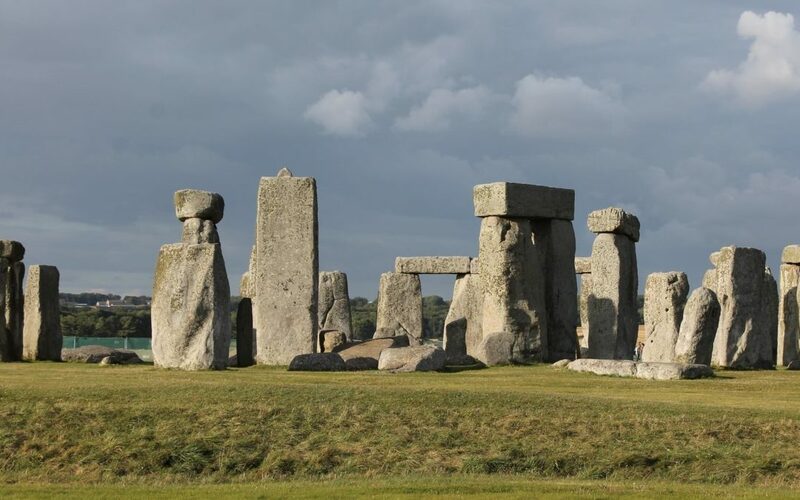 Enormous, stark white slabs of stone were installed vertically like obtrusive, glittering sentries at a number of points across the corner property. The large gaps between each conspicuously erected monolith were then dotted with a few tiny plants, leaving the ground largely unadorned and the great stretches of mulch desolate. The visual effect of these seemingly pretentious columns left me wondering if the outlandish garden was a cry for attention or simply an unsightly display of status. I had failed to see the role that time would play. But the new owners had not. They knew what weather would do; how a year of exposure to dust, sunlight, sea air, and rain would stain the impermeable rock. They recognized the simple truth that plants grow and that they need space to do so. They understood the topography of the land and how to place elements that worked with the gentle slope bowing into the street from their front door. I realized it slowly, over the course of the next twelve to eighteen months. The genius of it. They had gifted our neighbourhood with a version of the stone circles of Europe. The bright granite was now darkened with patches of slate, moss, and charcoal, the gleam replaced with the satin finish of aged stone. The heathers had spread into the empty pockets of soil, and the mix of species bloomed at different times, seasonally offering a carpet of tiny purple or white clustered buds. Bees crawled over the foliage, greedily collecting pollen from the bell-shaped flowers. Crows rested on the natural pillars, cocking their heads in response to the gaze of passersby. Sparrows hopped over the ground, darting amid the crevices between the evergreen groundcover in search of shelter or food. It was a tiny piece of the magic one feels while standing within Stonehenge. It is into this model of patience, and the twin branches of deliberate unfolding and organic growth, that I write. My creativity is best expressed when I keep these lessons in mind. When I lean into the possibilities that may ripple from casting a story into the waters of the world, I should consider how those vibrations will colour, grow, and bring life to the perspectives of others. Without reflection, I risk creating a literary landscape out of touch with my intention and my readers. But with it, I can hold on to the long view and create something lasting and beautiful. When I was two, I almost went blind in my right eye. A close friend of my mother`s had noticed that my left eye was not tracking properly. It was turning out so that it appeared misaligned, and so a trip to the eye doctor`s was quickly arranged. I was examined and assessed and eventually given the diagnosis of constant extropia, also known as lazy eye. Rather than attempt to saddle such a young patient with glasses, the optometrist opted to cover my working orb with a bandage to force my left eye to perform. For at least a couple of months I toddled more than most toddlers might as I explored my world with half of my sight literally under wraps. I have no memory of this experience but, with a son of my own so similarly aged, I can closely estimate how frustrating this must have been for both me and my parents. Eventually, though, the professionals realized that they had made a mistake. In covering my good eye in the endeavor to exercise my poor one, the former had ceased to work. The gauze and tape had performed their task too well, and the perfect vision I had known in my right eye had been overturned by mandatory inertia. The doctor was alarmed by the severe inactivity upon re-exposing it, and he ceased the flawed experiment to try and remedy the eye`s unresponsiveness. I was given thick glasses with a strong prescriptive lens on the left side and wire hooks curling out the arms and around my ears. My right eye reclaimed its dominion. And bandages were reserved for scraped knees. Life returned to normal. For a time. When I was in the car one morning, being driven to my first grade class, I composed my first poem. It was a four-line ode to the sun and it was the inaugural beautiful hint at how writing might become a part of my life. The next evidence, though, was not so sweet. Four-eyes. Bookworm. Typing these terms of mockery still cover my irises with liquid pain. For all of elementary school, through surgery for my lazy eye when I was ten, and up until a couple of years after the procedure when I was finally told I no longer needed glasses, I was teased in such a way. I had been gifted with a mother who worked in the municipal library and whose vocation compelled her to share her love of reading with her children. So with plastic frames often perched atop a nose firmly stuck in a book, my childhood destiny was written. But amongst the traumas of pre-pubescent bullying, I can still find ways to be grateful. Without those trying, formative years, I would not have become discerning in my selection of close friends. I learned a great deal about how to read people and understand the nuances of expressions, words and even emotions. My people watching skills surely developed while I pumped my legs alone on the swing, and my ability to gain solace with my own thoughts and company must have had their foundation in the field`s perimeter of gravel and dirt, over which my two feet carried me on countless recesses. These are the skills upon which I began to create my authorship, both as a girl who contributed a couple of articles to the school newspaper and as a young person trying to write a happy ending for her life. 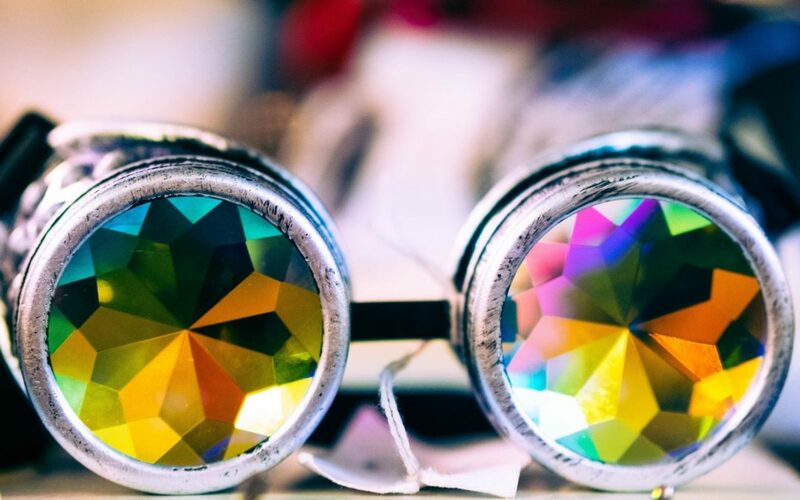 Those glasses, the names, and the way my vision had to adapt and then adapt again – all of it means something. Each flicker of experience has contributed to who I am now, and to how I am able to share parts of myself on the page. I am thankful my eyesight was not permanently marred by an optometrist’s misguided efforts to help. More so, I am grateful for the opportunity to remember how we can’t cover up what is working and concentrate solely on what is dysfunctional. Too often we focus on the negative, but in doing so we rob ourselves of examining a full life. I, for one, want to explore the width, depth and height of who I am and what I have been through with a writer’s vision: with eyes wide open and lifted toward the shifting colours of an infuriating, peaceful, grieving, joyous, confusing and insightful horizon.